If you’re thinking of buying something for that special someone in your life, where are you going to look? If the piece of jewellery is for a very special someone, the place you take your loved one to buy it can be just as important as the item itself, so who are the top jewellery sellers in the world you should consider visiting? As everyone knows, diamonds are a girl’s best friend. For a long time Tiffany’s has been the brand that sparkle just as brightly as the items they sell. Women clamber for Tiffany branded bags and boxes, so taking your loved one to Tiffany’s would go down well. If you’re nowhere near a Tiffany’s jewellers, why not visit them online at tiffany.com? Although they’re based in Italy, Buccellati have stored all around the world. This is the place to visit if you’d like your jewellery engraved. 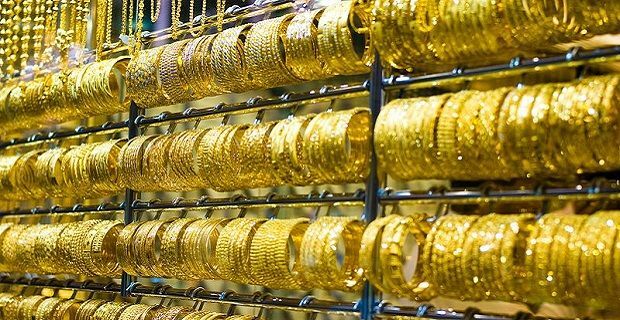 Ornate pieces with brushed gold designs, lined with gemstone and diamonds are the sort of jewellery sold here. You can find them online at buccellati.com. Graff is a London based firm who carry the rarest diamonds. You’ll need deep pockets to shop here because they sell unique and rare items that only the richest of the rich can afford. If you’re not the sort of clientele they’d expect in their store and you’d like to snoop around their wares without looking like a potential shop lifter, why not check out graffdiamonds.com? Around the world there are 100 Chopard stores that stock some of the most unique and popular designs. This is the place to go if watches are you thing but they stock a wide range of jewellery. If you’d like a preview of their stock, their site can be found at chopard.com. If you’re going to surprise your loved one with a gift, you could look around for the best deal on the high street or online. That won’t work if you’re buying an engagement ring or any other item of jewellery that you loved one should help you pick out. If that’s the case, pick the most reputable jeweller you can afford to use and make an occasion of it.